Dewey Jackson Short (April 7, 1898 – November 19, 1979) was a Republican U.S. Representative from Missouri's 7th congressional district for 12 terms and a staunch opponent of President Franklin Delano Roosevelt's New Deal. Missouri's 7th congressional district consists of Southwest Missouri. The district includes Springfield, the home of Missouri State University, and the popular tourist destination city of Branson. Located along the borders of Kansas, Oklahoma, and Northwest Arkansas, the district occupies part of the Bible Belt with a strong socially conservative trend. George W. Bush defeated John Kerry here 67% to 32% in the 2004 election. Republican John McCain defeated Democrat Barack Obama 63.1% to 35.3% in the 2008 election. Republican and Former Massachusetts Governor Mitt Romney defeated Barack Obama 67.6% to 30.3% in the 2012 election. In the 2016 election, Republican Donald Trump defeated Democrat Hillary Clinton 70.4% to 24.7%. 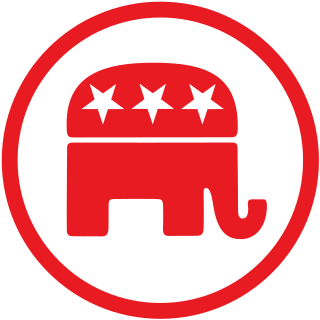 As of 2017, this district is the second most strongly Republican district in Missouri and is one of the most strongly Republican Districts in the United States. The New Deal was a series of programs, public work projects, financial reforms, and regulations enacted by President Franklin D. Roosevelt in the United States between 1933 and 1936. It responded to needs for relief, reform, and recovery from the Great Depression. Major federal programs included the Civilian Conservation Corps (CCC), the Civil Works Administration (CWA), the Farm Security Administration (FSA), the National Industrial Recovery Act of 1933 (NIRA) and the Social Security Administration (SSA). They provided support for farmers, the unemployed, youth and the elderly. The New Deal included new constraints and safeguards on the banking industry and efforts to re-inflate the economy after prices had fallen sharply. New Deal programs included both laws passed by Congress as well as presidential executive orders during the first term of the presidency of Franklin D. Roosevelt. Short was born in Galena, Missouri on April 7, 1898 to Jackson Grant Short and Permelia C. Long. Short attended Galena High School and Marionville College. He served in the infantry during World War I and graduated from Baker University in 1919 and from Boston University in 1922. Short also attended Harvard University, Heidelberg University, the University of Berlin, and Oxford University. He was a professor of ethics, psychology, and political philosophy at Southwestern College in Winfield, Kansas in 1923, 1924, and 1926-1928. Short was a pastor of the Grace Methodist Episcopal Church, Springfield, Missouri, in 1927. He married Helen Gladys Hughes of Washington, DC, on April 20, 1937. The couple had no children. Galena is a city in Stone County, Missouri, United States. The population was 440 at the 2010 census. It is the county seat of Stone County. Galena is part of the Branson, Missouri Micropolitan Statistical Area. Galena High School, home of the Bears, is a Public high school located on Missouri Route 413 in Galena, Missouri, the county seat of Stone County, Missouri. Galena High School is a member of the SouthWest Central League and the Missouri State High School Activities Association (MSHSAA), which is the governing body for high school athletics and activities throughout the state. 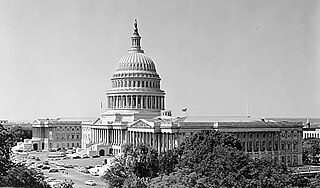 The Seventy-first United States Congress was a meeting of the legislative branch of the United States federal government, consisting of the United States Senate and the United States House of Representatives. It met in Washington, D.C. from March 4, 1929, to March 4, 1931, during the first two years of Herbert Hoover's presidency. The apportionment of seats in the House of Representatives was based on the Thirteenth Decennial Census of the United States in 1910. Both chambers had a Republican majority. This congress saw the most special elections of any congress with 27 in all. The Seventy-second United States Congress was a meeting of the legislative branch of the United States federal government, consisting of the United States Senate and the United States House of Representatives. It met in Washington, D.C. from March 4, 1931, to March 4, 1933, during the last two years of Herbert Hoover's presidency. 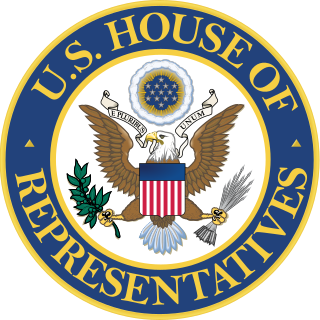 The apportionment of seats in this House of Representatives was based on the Thirteenth Decennial Census of the United States in 1910. The Senate had a Republican majority. The House started with a very slim Republican majority, but by the time it first met in December 1931, the Democrats had gained a majority through special elections. The Eighty-third United States Congress was a meeting of the legislative branch of the United States federal government, composed of the United States Senate and the United States House of Representatives. It met in Washington, DC from January 3, 1953, to January 3, 1955, during the final weeks of the second administration of U.S. President Harry S. Truman and the first two years of the first administration of U.S. President Dwight D. Eisenhower. Springfield is the third-largest city in the state of Missouri and the county seat of Greene County. As of the 2010 census, its population was 159,498. As of 2017, the Census Bureau estimated its population at 167,376. It is the principal city of the Springfield metropolitan area, which has a population of 462,369 and includes the counties of Christian, Dallas, Greene, Polk, Webster. Short was an unsuccessful candidate for reelection in 1956 to the Eighty-fifth Congress. He was defeated by Charles H. Brown, the vote being 90,986 for Brown to 89,926 for Short. In 1945, he had served as a congressional delegate to inspect concentration camps in Germany. Short served as Assistant Secretary of the Army from March 15, 1957, to January 20, 1961 and was later President Emeritus of the National Rivers and Harbors Congress. Short died in Washington, D.C. on November 19, 1979 and was interred in Galena Cemetery, Galena, Missouri. The Eighty-fifth United States Congress was a meeting of the legislative branch of the United States federal government, composed of the United States Senate and the United States House of Representatives. It met in Washington, D.C. from January 3, 1957, to January 3, 1959, during the fifth and sixth years of Dwight Eisenhower's presidency. The apportionment of seats in the House of Representatives was based on the Seventeenth Census of the United States in 1950. Both chambers had a Democratic majority. Assistant Secretary of the Army is a title used to describe various civilian officials in the United States Department of the Army. Richard Nixon cited Short as perhaps the finest orator he had ever seen in his book, In the Arena. Richard Milhous Nixon was the 37th president of the United States from 1969 to 1974. He had previously served as the 36th vice president of the United States from 1953 to 1961, and prior to that as both a U.S. representative and senator from California. "I deeply and sincerely regret that this body has degenerated into a supine, subservient, soporific, superfluous, supercilious,pusillanimous body of nitwits, the greatest ever gathered beneath the dome of our National Capitol, who cowardly abdicate their powers and, in violation of their oaths to protect and defend the Constitution against all of the Nation's enemies, both foreign and domestic, turn over these constitutional prerogatives, not only granted but imposed upon them,to a group of tax-eating, conceited autocratic bureaucrats a bunch of theoretical, intellectual, professorial nincompoops out of Columbia University, at the other end of Pennsylvania Avenue who were never elected by the American people to any office and who are responsible to no constituency. These brain trusters and 'new dealers' are the ones who wrote this resolution, instead of the Members of this House whose duty it is, and whose sole duty it is, to draft legislation." --- Delivered in the U.S. House of Representatives on January 23, 1935. "Mr. Jefferson founded the Democratic Party and President Roosevelt has dumfounded it." "I have always been old-fashioned enough to believe it is much better to 'git up and get' than it is to 'sit down and set.' The only animal I know which can sit and still produce dividends is the old hen." "I know that without change there would be no progress, but I am not going to mistake mere change for progress." "I look at the Supreme Court and know why Jesus wept." 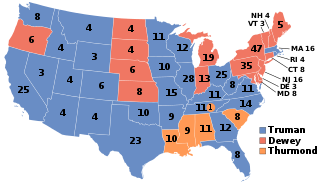 The 1948 United States presidential election was the 41st quadrennial presidential election. It was held on Tuesday, November 2, 1948. Incumbent President Harry S. Truman, the Democratic nominee, defeated Republican Governor Thomas E. Dewey. Truman's victory is considered to be one of the greatest election upsets in American history. Edward Tylor Miller, a Republican, was a U.S. Congressman who represented the Maryland's 1st congressional district from 1947 to 1959. Horace Seely-Brown Jr. was an American politician and a US Representative from Connecticut. Durward Gorham Hall was a six-term US representative from Missouri's 7th congressional district. 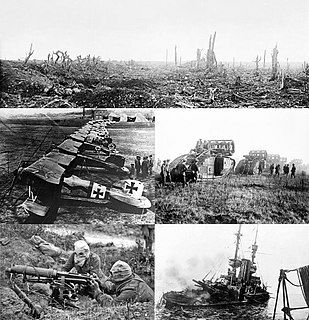 Robert Luce was a United States Representative from Massachusetts. Roscoe Conkling Patterson was a United States Representative and Senator from Missouri. Edward Oscar McCowen was a Republican member of the U.S. House of Representatives from Ohio. Edward Michael Irwin was a U.S. Representative from Illinois. Kent Ellsworth Keller was a U.S. Representative from Illinois. Loren Edgar Wheeler was a U.S. Representative from Illinois. Gerald Wayne Landis was a U.S. Representative from Indiana. William Stiles Bennet was an American politician and a U.S. Representative from New York, and father of Augustus Witschief Bennet. James Churchill Oliver was a U.S. Representative from Maine. James Franklin Fulbright was a U.S. Representative from Missouri. Jeffrey Paul Hillelson was a U.S. Representative from Missouri. Joe Jonathan Manlove was a U.S. Representative from Missouri. Louis Ebenezer Miller was a U.S. Representative from Missouri. Rowland Louis Johnston was a U.S. Representative from Missouri. Walter Christian Ploeser was a U.S. Representative from Missouri and United States Ambassador to Paraguay and Costa Rica. William Price Elmer was a U.S. Representative from Missouri. ↑ Richard C. Bain and Judith H. Parris, Convention Decisions and Voting Records (1973), pp. 254-256. Wiley, Robert S., Dewey Short, Orator of the Ozarks. Cassville, Miss. : Litho Printers and Bindery, 1985. "Dewey Jackson Short". Find a Grave . Retrieved 2009-02-21.